As well as MAN B&W and Sulzer on request. 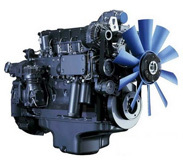 We offer a full range of original and OEM spare parts for main engines and auxiliary engines. For many years we have provided comprehensive service for our maritime customers.